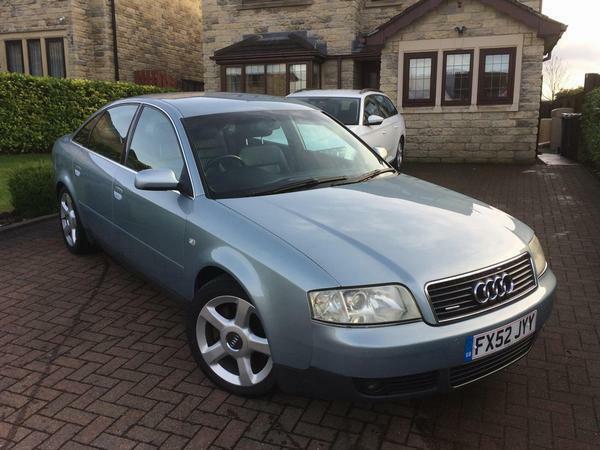 The latest 3.0-litre A6 is a diesel supersaloon; but why bother with that, though, when this V6 is £1,250? 'Quality skips... maximum displacement for minimal coin'. PHer Derestrictor could easily have been describing Mrs Shed when, in early 2008, he set out the parameters for a new forum thread. In fact, he was inviting other PHers to put up links to great value used motors at between £1k and £5k. He struck a chord there because, eleven and a bit years later, Best Smoker Barges 1-5 Large is sailing majestically into volume 14. Clearly there is still plenty of love among tightwads like us for luxury motors at a fraction of their new price. Although Shed's choice is always restricted to vehicles that are actually put on sale in the PH Classifieds, a concept still not fully understood by every reader, some might still say that Shed of the Week hasn't been pulling its smoker barge weight recently. We did have that Mercedes W220 S500 luring us onto the rocks of low-entry price bankruptcy a few weeks back, but other potential candidates have been frozen out by a sudden rush of affordable sporting tackle, so it's nice to be able to reacquaint ourselves now with the low-key attractions of a well-specced and spangly-looking six-cylinder Audi A6. To Shed at least, the looks of the gen-two 4B A6 have matured nicely. Inside this bright SE example we have lovely, progressive-padding seats that, Shed can attest, are as comfy as they are stylish. To give the A6 a chance against the equivalent Merc and BMWs, these 4Bs were loaded to the gills with gizmos to help you stay between the lines. 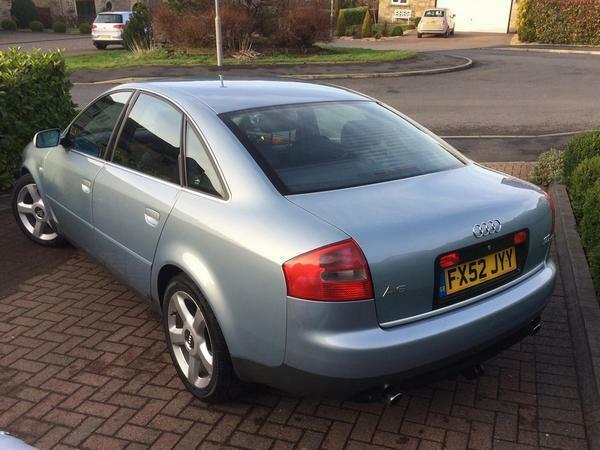 As far as Shed recalls, the saloon (built on the C5 platform between 1997 and 2004) didn't have the Allroad's air suspension, which is good because that wasn't good. What's also handy about this example is that it was registered in September 2002, which means it was a facelift model with the 3.0 30-valve V6 replacing the old 2.8 lump. Although the heavy-flywheeled 3.0's 217hp wasn't developed until 6,300rpm, its 221lb ft maximum torque came in at a much more accessible 3,200rpm. Flowing through a five-speed Tiptronic auto with upchanges on the forward shove and the Torsen four-wheel drive system nullifying the front-wheel-driveness of the basic A6, it's a smart recipe for a relaxing all year-round drive. The last MOT test was in January. Advisories included some steering play, a corroded exhaust, and 'various corrosion to rear suspension components'. The tester hasn't been massively helpful here. What rear suspension component does he mean? A damper, a control arm, or something else? And in the corrosion rankings, where does 'various' stand? Is it somewhere between 'rich tea biscuit' and 'skidmark'? You'd want to get better answers to these questions for yourself. Some keen testers will point up any sort of corrosion, even if it's the sort that will routinely occur on just about any vehicle beyond a certain age. You'll find scrappers happily selling complete rear suspension kits with a fair blobbing of visible rust so it needn't be a major concern. Whatever level we're talking about here, it once again proves the point that rust, like the big C, is not class- or marque-conscious. Running costs? The road tax will be £325 a year, or about £27 a month, you can expect fuel consumption figures in the mid-20s in moderate use (down to the teens in immoderate use), and you'll be able to run it on cheap classic car insurance. Those costs don't include surprise bills of course. Nothing is certain in life, and that goes especially for 17 year-old cars with negligible service histories, but visually at least it does appear that this one has escaped most of the slings and arrows of outrageous motoring. Apart from a small cluster of parking dints on the offside rear bumper panel, it looks remarkably clean and a rolling testament to the valeting section of Halfords. The sort of stuff that can go wrong can be readily copied from the diary of any German smoker barge owner, i.e. electrics (coil packs, windows), bodywork, suspension, brakes. Specific to this model you might encounter faulty fuel filters, ever-lit EML lights and blocked oil passages or poor electrical connections in the torque converter department. At least the Multitronic auto box that was the bane of many an FWD Audi is not present here: instead, this quattro should have the less aggravating ZF unit, though even that had its own shifting problems. The lack of service history and the admitted ignorance about when the timing belts and water pump were last replaced obviously counts against this car - the price of peace of mind being around £600 at an independent, or twice that at a main dealer - but the compensation is that you won't have to fork out for new tyres, battery and handbrake any time soon as they've all been replaced this year. As noted earlier, the only other major unknown is the MOT tester's definition of corrosion. Unencumbered by today's too-big alloys and too-hard suspension setups, this A6 will be as comfy as an old boot, and hopefully a bit less smelly. This generation of A6 hasn’t aged well at all imo and looks much older than it actually is and that rear is gopping. Agree, push the boat out just a little more and you get the next gen one which is leagues ahead and has aged well. In fact I still prefer it over the current model. Agreed. The rear end of the C5 saloon is awful. I'd either hunt out an avant C5 or as you say a C6 even if that means leggier mileage. I would however shy away from the 2.0TFSI in the C6 as not only did mine suffer from oil pump failure, it was also under powered for the size/weight of vehicle! I keep getting urges to buy into an C6 S6 Avant. The dashboard dial set up in this Audi is pretty much perfect - as it is in all BMW till the latest models. Clear concise information - why are we moving now to stupid graphic displays - the new BMW dials I find awful - or is it just me with my tired and jaded eyes? I'm too busy cursing BMW drivers not using their indicators to even contemplate their dials to be honest. 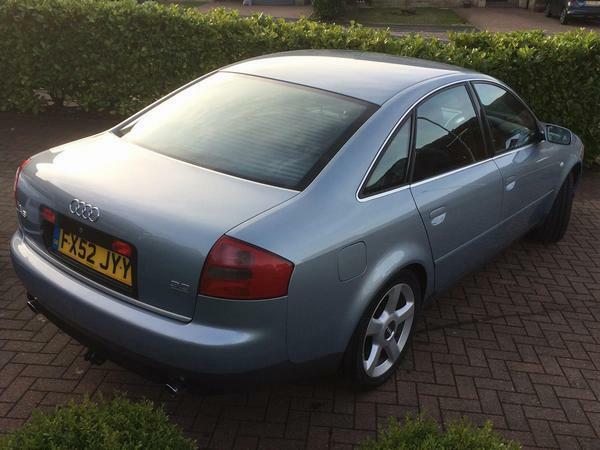 I had an S6 saloon and loved it - it was an urgent purchase when my TT was written off and I needed something larger with an incoming baby - wish id never sold it tbh. I was actually thinking the opposite. I reckon this is more handsome than any of its successors. Eye of the beholder, and all that. Bit of a plain Jane, this one. "...be able to run it on cheap classic car insurance." A 2002 Audi diesel? 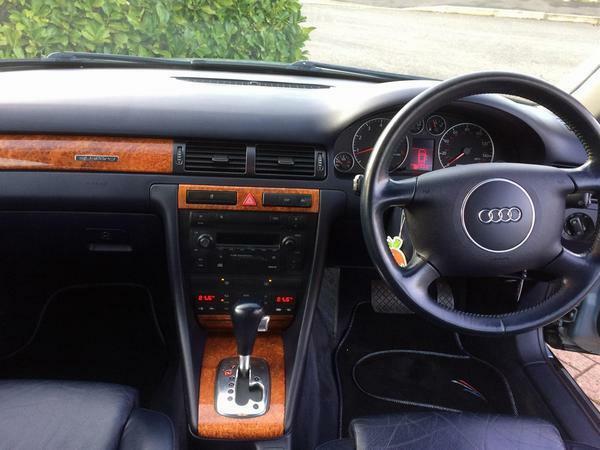 Yeah, like how these look and this looks very tidy for its 17 years, bet its a nice enough drive, very comfy and aside from ta and fuel not that expensive to run.Reminds me on the old Audi 100 I had, especially the interior. I agree, I don't see the appeal of a massive bright screen in a car at all. They are an utter nightmare at night too, one of the stupider fads with new cars. This is a car for people who's favourite passtime is yawning. New cars ? been around since the nineties ! You can turn them off by and large, most have a night mode that dims the screen and uses darker colours. Better get used to them, dont think car makers will be going for a Steam Punk theme any time soon. I agree - this is a much more elegant design to my eye. Each to their own, thankfully they made plenty. I agree however that classic car insurance for a 17-year-old car seems unlikely. What's the starting age for a classic policy? 15 years old? The only thing I can really think to say about this is "yawn". What a monumentally dull car. Dull to look at, dull interior, not that fast, not economical either. It's a bit of a nothing car to me. I'm out with this one. Brother had one of these for a while. I think he quite liked it, until the 'Venturi pump' took a crap and cost him thousands. He realised the perils of old Audi ownership and moved it along.